In late 2008 the SEC proposed the first reserve reporting rules revision in 25 years. This has led to much angst by small companies trying to keep pace with the regulatory reporting requirements. 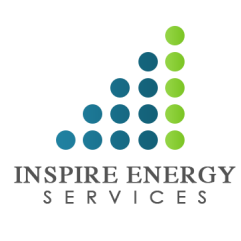 The Inspire Team is comfortable with the recognized industry reserve and resource definitions, specifically those set forth by both the U.S. Securities and Exchange Commission Regulation S-X Rule 4-10(a), and the 2007 Petroleum Resources Management System approved by the Society of Petroleum Engineers. We employ deterministic methods to estimate reserves for most evaluations and also utilize stochastic methods to determine probabilistic estimates of reserves for many exploration studies, early field development projects, and large field developments. • Production Engineering and field reservoir analyses. • Secondary and tertiary recovery modeling and simulation. • CO2 and other enhanced recovery feasibility studies. • Strategic drilling strategies for maximizing efficiency in reserve increases. • Pipeline strategies and gas deliverability plans. • Production Facility Analysis and technology valuation.